2. The Bill for Hats and Caps, - committed to Mr. Perte, &c.
L. 1. The Bill for the Restitution of Mr. George Darcye in Blood. 1. The Bill for Breeding of Cattle. 2. The Bill for Sheriffs of England to be but One Year. 1. The Bill for Adultery. L. 3. 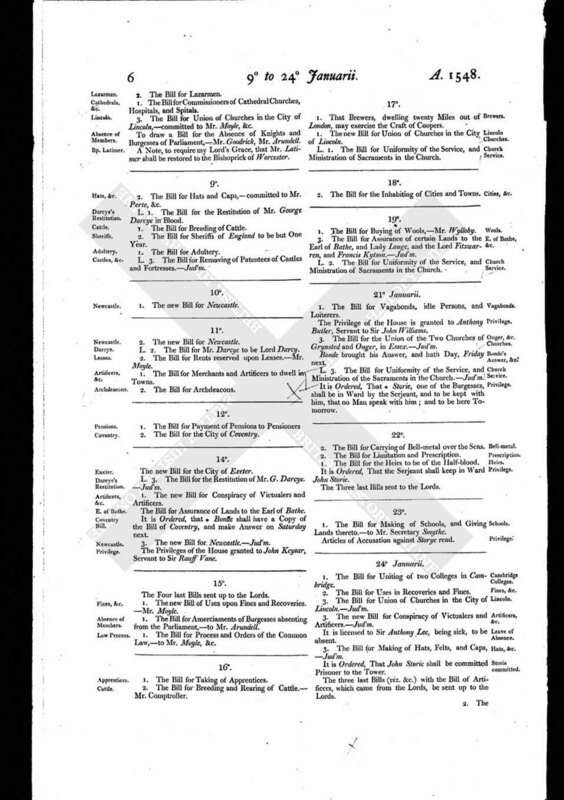 The Bill for Removing of Patentees of Castles and Fortresses. - Jud'm.